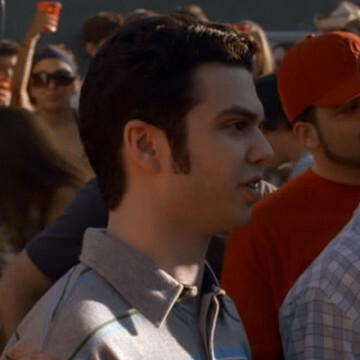 Chicago native Samm Levine appears in S03E02 of Entourage, One Day in the Valley, where he plays the part of Reggie. Samm’s character persuades Vince to attend a party full of high schoolers after a series of west coast blackouts creates unbearable travel conditions. Samm’s resume includes a major role in the short-lived series Freaks and Geeks as well as guest appearances on That 70s Show, Modern Family, and NCIS.